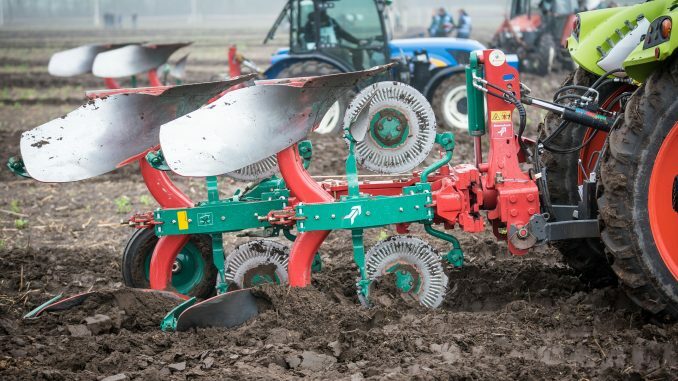 #Lozova #Machinery, one of the leading #Ukrainian #manufacturers of #tillage #equipment, is shortly entering the #Canadian market. In particular, Lozova Machinery has found an official #distributor in #Canada – Higginson Farm Equipment. The Ukrainian and Canadian partner will soon sign an agreement that will allow direct supplies of #agricultural machinery to the North American continent. Lozova Machinery (a brand of agricultural machinery manufactured by the companies of UPEC Group based in the Kharkiv region) will soon sign an agreement with the distribution company Higginson Farm Equipment (Canada), which will allow direct supplies of agricultural machinery to the North American continent. Lozova Machinery has found an official distributor in Canada due to its first participation in Canada’s Outdoor Farm Show in Woodstock, Ontario, which took place on 11-13 September 2018. According to the press release published on the website of UPEC, Higginson Farm Equipment is working with a number of local Canadian dealers who sell the machinery to end consumers. In addition, another large regional dealer from the province of Alberta has shown interest in the products of Lozova Machinery. Moreover, the company also plans to conduct a series of demos for Canadian farmers. According to Roman Girshfeld, Vice President of Marketing and Sales of UPEC, after the entry into force of the Free Trade Agreement between Ukraine and Canada, the export process was significantly simplified as import tariffs on Ukrainian agricultural machinery had been abolished. This gives the Ukrainian manufacturers a significant competitive advantage in the North American market. Roman Girshfeld admitted that the company also wants to enter the US market. Lozova Machinery is one of the leading Ukrainian manufacturers of tillage and sowing machinery and logistics equipment. In 2018, Lozova Machinery aims to increase the share of exports in total sales to 35-40% (at the end of 2017, the exports accounted for 20% of total sales). Higginson Farm Equipment, founded in 1898, is a family-owned business with more than a century of history. The company has gained the reputation of being a reliable supplier that offers high quality agricultural machinery to Canadian farmers. Higginson Farm Equipment specializes in wholesale and retail sales of agricultural equipment and accessories in Canada as well as after-sales service, installation and set-up services.